Bajrangi Bhaijaan China Tuesday (5th Day) Business is more than Monday. Excellent Trending! 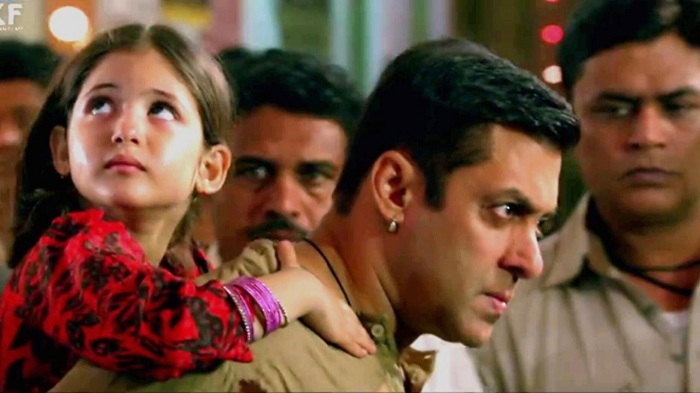 Bajrangi Bhaijaan has shown growth on Tuesday (5th day) at box office as compared to Monday. In fact when we write this article film has already surpassed Monday business. Still two hours are left. This is terrific news and now Bajrangi Bhaijaan is heading for fantastic first week. Bajrangi Bhaijaan has already crossed $1.75 million for the day. By the end of the day film is expected to collect approx $1.85 million. That is whopping INR 12 crores. Bajrangi Bhaijaan is set to collect an approx $12.07 million in 5 days in China. That is approx INR 78+ crores. Film is now racing towards 100 crore mark. If film shows similar trending it may achieve this landmark by the end of first week itself. Bajrangi Bhaijaan is heading towards 3rd highest grossing Indian film behind Dangal and Secret Superstar. This is highest grossing Indian film in China which don't star Aamir Khan. This is great news for Salman Khan as he has made a grand debut in China. Things will get better only with Sultan release is planned next in China. Koi batayega tingu Amir ki debut movie ne kitna collection KIYA the China mein?? ?